Will site blocking stop internet pirates in Australia? 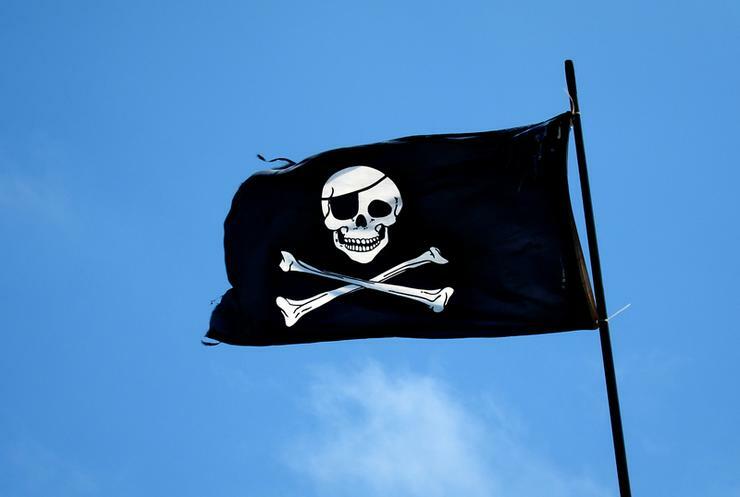 The Federal Court has ordered ISPs to block several copyright infringing torrent sites, but will it keep the pirates at bay? In an Australian first, the Federal Court has granted injunctions that will see the country’s major internet service providers compelled to block several websites used to illegally stream films and television programmes. The Federal Court of Australia handed down its judgement on 15 December, ordering local ISPs Telstra, Pacnet, TPG Internet, and iiNet, to block five torrent sites, The Pirate Bay, Torrentz, TorrentHound, IsoHunt, and SolarMovie, and their 61 associated domains. The judgement relates to two applications, one by Foxtel to TPG Internet and iiNet, the other by Village Roadshow to Telstra and Pacnet, for injunctions that would compel the ISPs to block the websites. M2 was also named as a respondent in the Village Roadshow application. Under the Federal Court’s orders, the ISPs must take “reasonable steps” to disable access to the websites within 15 business days of the orders being issued. The ISPs are ordered to take any number of steps to block the sites, including DNS blocking, IP address blocking or re-routing, URL blocking, or “any alternative technical means” for disabling access to the sites as agreed in writing between the film and media companies, and the ISPs. The rights holding applicants are to pay Telstra’s, Optus’, M2’s and TPG’s compliance costs, calculated at the rate of $50 per domain name the subject of DNS Blocking undertaken for the purposes of complying with order 2 hereof. The court also ordered that Foxtel pay Telstra’s and TPG’s compliance costs, calculated at the rate of $50 per domain name subjected to DNS blocking, and $1500 to Optus for compliance costs, while Village Roadshow has to pay M2, Telstra, and TPG $50 per domain blocked. The ISPs will need to redirect attempts to access sites that have been blocked to a special landing page established by them or the applicant companies. “This judgement is a major step in both directly combating piracy and educating the public that accessing content through these sites is not [okay], in fact it is theft,” Foxtel chief executive, Peter Tonagh, said. “This judgement gives us another tool to fight the international criminals who seek to profit from the hard work of actors, writers, directors, and other creators the world over. “We have already seen successful implementation of similar site blocking efforts overseas and are looking forward to a reduction in online piracy here,” he said. The judgement follows the passing of legislation in Parliament mid-last year that allows copyright holders to apply for injunctions to block websites found to be facilitating piracy. The Copyright Amendment (Online Infringement) Bill 2015, passed with bipartisan support in 2015, but met with fierce opposition from some quarters, including Greens Senator, Scott Ludlam, and Liberal Democrat Senator, David Leyonhjelm. Among Ludlam’s arguments against the legislation, and site-blocking in general, was the suggestion that Australians may simply resort to the use of virtual private networks (VPNs) to circumvent such website-blocking moves and, more seriously, that the legislation could potentially open the gates to the criminalisation of VPN use. "The Government has proceeded with a punitive site blocking regime and completely ignored more practical options for copyright reform that have been on the table for years,” Ludlam said in June 2015. "This is a dangerous and unnecessary piece of legislation that potentially criminalises legitimate use of VPNs or other tools. "By resorting to site blocking in an attempt to reduce copyright infringement, the government is using a sledgehammer to crack a nut,” he said. A group of researchers at the University of Queensland, Paula Dootson, Kylie Pappalardo, and Nicolas Suzor, have also suggested that VPN and proxies can be easily used to access sites through private or secure connections, according to an article penned by the trio for The Conversation. Moreover, the researchers suggest that the continuing difficulty Australians meet when trying to access the latest films and television programmes through legal channels is likely to see illegal streaming rates remain relatively high in Australia. “But without legitimate means of access, consumers feel they have no choice but to download the content illegally,” they said. Meanwhile, Internet Australia CEO, Laurie Patton, has also questioned the effectiveness of the move to block the websites, suggesting that such site blocking regimes in other parts of the world have failed. "It looks to us more like a publicity stunt. It only affects a handful of the hundreds of ISPs and there are plenty of ways to get around it," Patton said. “International experience has shown site-blocking is more effective as a PR stunt than a realistic solution. "You close them down and they reappear in no time on another site and/or with another name – it’s called ‘whack-a-mole’," he said.